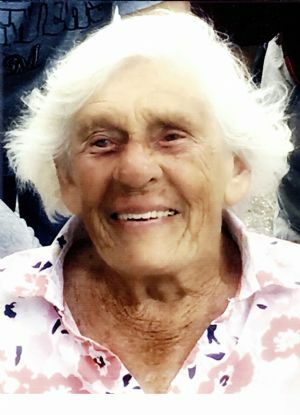 Dorothy “Dottie” J. Brooks, age 93, of Green Lake, WI, passed away on Tuesday, November 27, 2018 at her home. Dorothy was born on August 24, 1925 in Indiana, the daughter of Jacob and Matilda (Kaelin) Hutt. She graduated from high school in Jeffersonville, IN, and went on to earn a Bachelor of Education Degree from Indiana University. On October 30, 1948 she married Wells Dudley Brooks in Jeffersonville, and he passed away on October 2, 2011. Dorothy was a Physical Education instructor at Ripon Middle School for many years, and was an active and devoted member of The Federated Church of Green Lake. In her early years Dorothy was a member of the Business and Professional Women's Club of Green Lake as well as a member and leader of the Cub Scouts and Girl Scouts. More than anything, Dorothy enjoyed spending time with her family, especially her grandchildren and great-grandchildren, and would cherish every opportunity to attend their athletic events and musical performances. She also had a passion for the outdoors, canoeing in Boundary Waters, camping, hunting, and family time during maple syrup season. Dorothy is survived by her children, Steven (Nancy) Brooks of Whitelaw, WI, Dennis (Carol) Brooks of Green Lake, WI, K.C. (Cindy) Brooks of Lodi, WI, and Barbara (Tim) Grim of Green Lake, WI; daughter-in-law, Ann Meitzner Brooks of Wausau, WI; grandchildren, Stephanie (Tracy) Bartels, Steve Brooks, Jr., Margaret (Scott) Brooks Highhouse, Samuel Brooks, Norah (Jason) Brown, Benjamin Brooks, Bradley Brooks and Jennifer Brooks; 16 great-grandchildren; and a sister, Margaret Louise Porter of Morenci, MI. She was preceded in death by her parents, Jacob and Matilda Hutt; her loving husband of nearly 63 years, Wells Brooks; and a son, Robert Brooks. Visitation for Dorothy will be held from 1:30 until 3:30 pm on Sunday, December 2, 2018 at Federated Church of Green Lake, 489 Scott St, Green Lake, WI, 54941. A funeral service for Dorothy will be held at 3:30 pm on Sunday, December 2, 2018, at The Federated Church of Green Lake, with Reverend Karen Gygax Rodriguez officiating. Interment will take place at Dartford Cemetery, Green Lake, WI, at 9:00 am on Monday, December 3, 2018. A memorial is being established in Dorothy's name.